This spring, a team of researchers from the University of Toronto Institute for Aerospace Studies (UTIAS) partnered with Dennis Franklin Cromarty High School (DFC), a high school in Thunder Bay, Ont. serving Indigenous students from communities in northern Ontario. 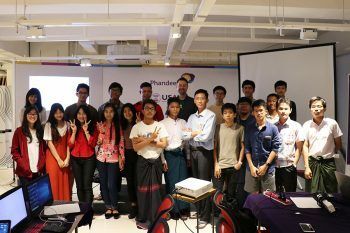 The researchers delivered a series of online and in-class workshops aimed at teaching Grade 10 science students how to build a quadrotor drone. The initiative was spearheaded by professors Craig Steeves and Jonathan Kelly (both UTIAS) and included graduate students Rikky Duivenvoorden (EngSci 1T3 + PEY, MASc UTIAS 1T6), Chris McKinnon (EngSci 1T3, MASc UTIAS 1T5, PhD candidate), Bharat Bhaga (UTIAS PhD candidate) and Suraj Bansal (UTIAS PhD candidate). The program was made possible by support from the Dean’s Strategic Fund for the Centre for Aerial Robotics Research and Education (CARRE). 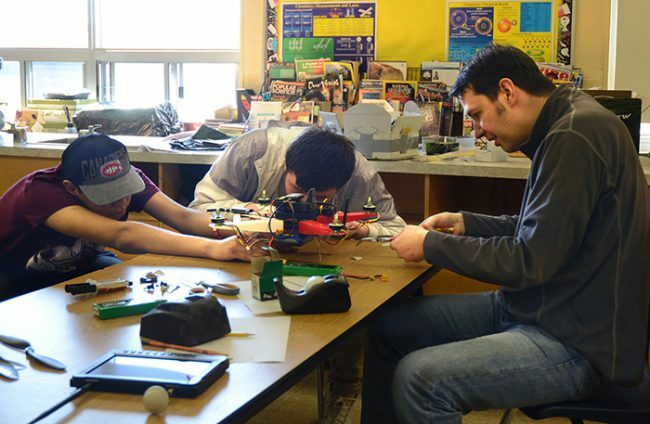 “The CARRE funding enabled us to develop a program where Indigenous high school students would get some exposure to the technology of drones—ideally, to understand what the drones can do, what they can’t do and how they are designed and constructed,” said Steeves. Sharon Angeconeb, the school’s principal, and Matt Kaskiw, the school’s Grade 10 science teacher, were supporters of the program and keen to get it off the ground as early as possible. Through weekly online workshops, Steeves and his team taught the students the technical background and steps to designing a drone. This included selecting propellers, batteries, motors and an autopilot, and designing some of the drone structure. In keeping with the philosophy of the school’s namesake, Dennis Franklin Cromarty, the program offered an opportunity for the students to learn new skills that they could bring back to their northern communities. In early April 2018, the UTIAS team travelled to Thunder Bay to build the first drone. The students built a drone using the parts they selected and conducted a flight test at the basketball court behind the school. 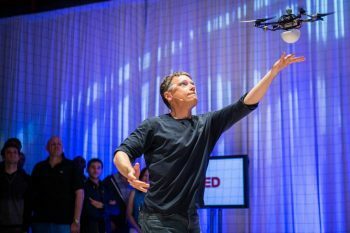 “The most rewarding part of the program was working with the students to build the drone and to finally see it fly above the basketball court with their help,” said Duivenvoorden. After dedicating many hours to working on the drone, the students and their science teacher, Matt Kaskiw, were also excited to see their work come to life. It wasn’t all smooth flying for the UTIAS team — and the instructors learned as much as they taught, said McKinnon. 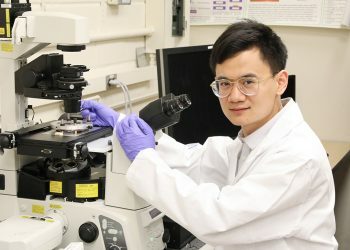 The students also inspired the researchers’ approach their future work. Bhaga also found a direct connection between preparing lectures for the students and completing his PhD thesis. Steeves hopes to expand the program to other Indigenous high schools in Ontario. He also has plans to invite the students and their teacher to Toronto to take them on a tour of the leading-edge aerospace engineering facilities at UTIAS. Steeves is also excited to be working on a special project to bring back to the school.